Gracanica Monastery | ride. travel. live. A 20-minute bus ride south of Pristina, the Gracanica Monastery is one of the high points of medieval art and architecture in the region, located in a predominantly Serbian enclave. The monastery grounds testify to a lot of history, although much of its recent history has been messy, to say the least. The walls are topped with barbed wire, which is not the usual for a religious compound, but this is Kosovo, which is either an independent nation or a part of Serbia, depending on who you talk to. Until recently, the monastery was guarded, but in a slightly more hopeful sign of the times, the KFOR troops have disappeared. 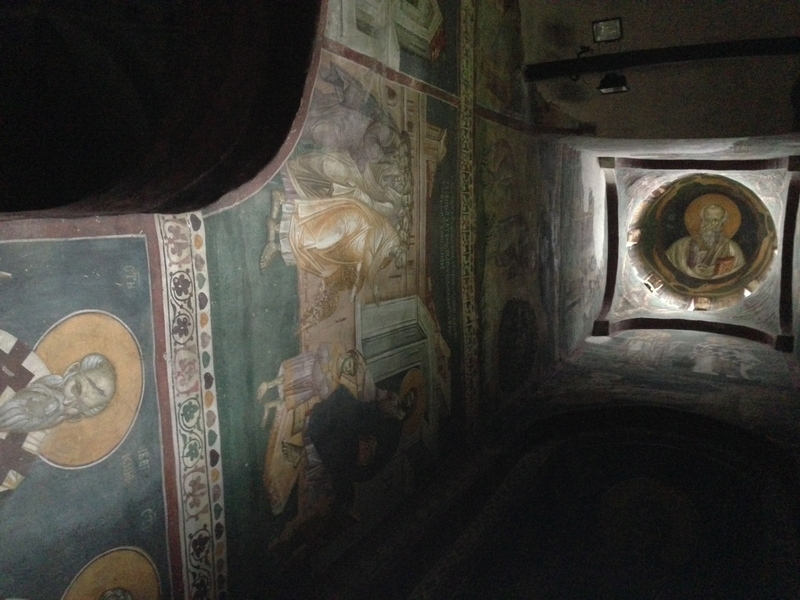 The interior is dim and atmospheric, nearly entirely covered in colorful frescos, and like other Orthodox churches, there are no seats for worshippers, and the air is heavily incensed. Although small, the church feels quite spacious, especially the very high vaulting. 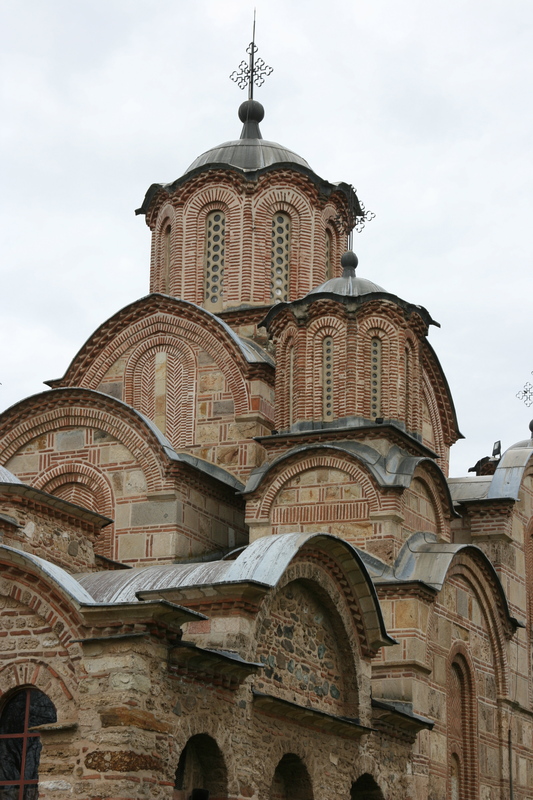 Along with sites in Decani, Peja / Pec, and Prizren, these are UNESCO-listed sites. Like religious sanctuaries should be, it’s a respite from the world outside. Hard feelings remain in Kosovo between the two major ethnic groups, from what I can tell. The town of Gracanica functions as a de facto part of Serbia, the exchange bureaus are based on Serbian dinars, and Euros are difficult to exchange. Kosovo is relatively easy to travel around, it’s small enough that no bus trip is longer than 1.5-2 hours, and the major towns and sights can be seen in day trips from Pristina. Pristina itself is a cosmopolitan town from the presence of UN, US, and EU personnel, and has plenty to offer once you get past the sometimes very “Ost” buildings and crumbling infrastructure.